The Office of Equal Opportunity, Inclusion & Resolution Services is committed to creating an environment where students, faculty, and staff, who have experienced harassment, discrimination, sexual misconduct, or have come across an access barrier, are encouraged to REPORT IT to the University. Syracuse University is committed to compliance with Section 504 of the Rehabilitation Act of 1973, the Americans with Disabilities Act of 1990, and all other applicable laws prohibiting disability discrimination. These statutes generally prohibit discrimination against individuals with disabilities and provide that no otherwise qualified person with a disability shall be excluded from participation in, be denied benefits of, or be subjected to discrimination under any program or activity receiving federal financial assistance. 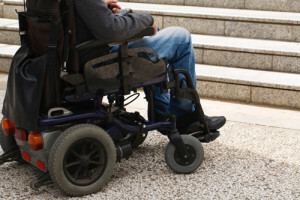 A person with a disability who believes his or her disability is not being accommodated, or who has experienced discrimination or harassment on the basis of disability, may file a complaint with the ADA/503/504 Coordinator, or with the office of Equal Opportunity, Inclusion, & Resolution Services. A person with a disability may also file a complaint with the federal government through the U.S. Department of Education’s Office for Civil Rights, the U.S. Equal Employment Opportunity Commission (for employees), or the U.S. Department of Justice. Issues that may form the basis of a complaint include, but are not limited to, a denial of a requested accommodation, the inadequacy of an accommodation, the inaccessibility of a program or activity due to disability, and discrimination or harassment based on disability. To report an Access Barrier, contact the University’s ADA Coordinator or complete our concerns form. Syracuse University values diversity, is committed to inclusion, and seeks to provide an accessible, welcoming environment for all people, including those with disabilities. Your feedback is essential to SU’s continuing effort to move beyond ADA compliance and toward seamless access.